The performing arts of Thailand embraces considerable awareness into the Thailand visual arts arena with a rich variety of spectacular appearances within the Thai cultural arts. These arts are just some of the creative expressions you will certainly enjoy in this culturally rich Asian country besides all of Thailand's other attractiveness. You would be able to enjoy experiences of all the traditional, classic and modern performances in Thai dancing throughout most parts of Thailand. These performances are reported to be among the world's most spectacular. I have seen some truly amazing demonstrations including a popular and dazzling performance at Fantasea in Phuket. Traditional Thai dancing performances are both enchanting and graceful. The use of performing elephants, elaborate and colourful costumes and lots of drama are not uncommon in most of the shows I've seen. These amazing and spectacular displays are often referred to as dance-dramas. Khon, Lakhon and Likay are the most popular forms of classical dance-drama in the long tradition of performing arts. The name Mandarin Oriental Bangkok is synonymous with extraordinary service standards and a fabulous dining venue that tops the list in the Thai capital. 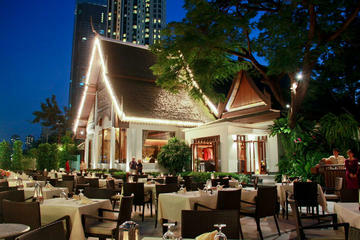 The exquisite art of Thai dinner and dance at the hotel’s Sala Rim Naam really summarises absolute perfection. By booking your dinner and dance (at no extra cost to you) from this page would not only allow me to earn a small commission but you'd also be helping me maintain this blog so that I can continue giving you more Thailand travel information. 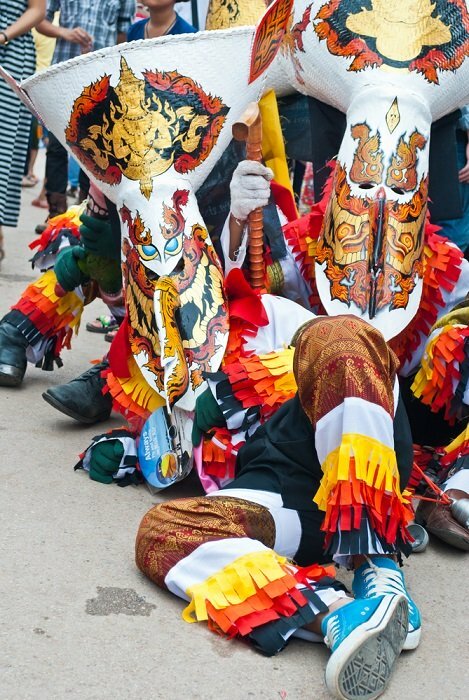 Khon is by far the most preferred and most popular form of dance-drama who's performers wear beautifully hand-crafted masks. The white monkey mask that you see in the photo above is the mask worn by one of the most favourite characters called Hanuman whose dance movements are absolutely spectacular. Because the masks are limited in expression, the focus is concentrated on the grace and control of the dancer's movements from a flick of a finger to a foot stamped in anger. Originally these dance-dramas were reserved for royalty only, but now these highly trained masked performers will entertain you with an evening of sheer delight as they reform several episodes from the Ramakien. The Ramakien dance routine was originally a take on India's Ramayana. The story goes on to say that the hero, Prince Rama tries to retrieve his abducted wife Sita, from the ten-faced demon King Totsakan. This is all I can tell you at this point as these episodes can take hours and besides you need to experience these live presentations for yourself. I'm not sure about you, but I just love to be wholly entertained everywhere and anywhere. So much so that when next we may be in Thailand at the same time, I would love to ask you join me for a night out to the theatre. Feel free to contact me if you're looking for some company. I am mostly in Thailand around September and October. That is if I'm not a gadabout in some other Asian destination. 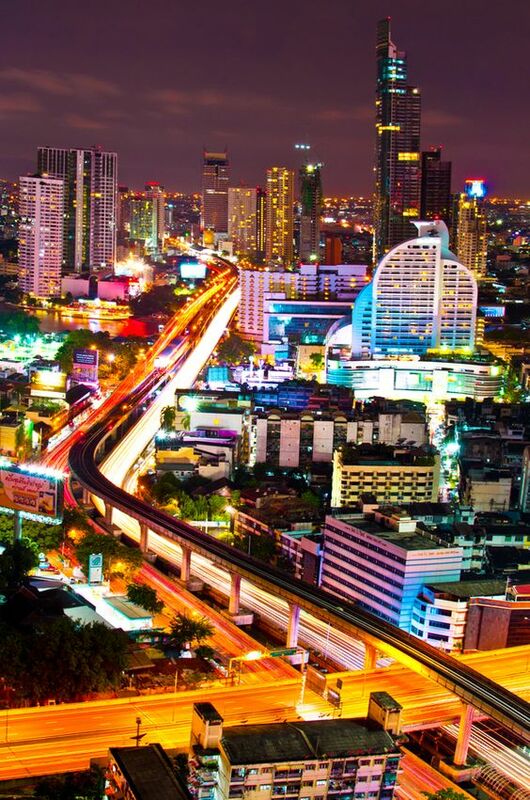 I have entertained a number of friends as well as foreigners on private tours in Thailand, so if you feel safe in trusting myself and my judgment, I could supply you with a number of references from around the world. I have entertained some who tell me that their tour with me was the best holiday they have ever had. I love to entertain and be entertained and I love to see people having a great time. Please consider this as an open invitation should you require my personal services to attend any of these performing arts events.